Hello! My name is Sally Dill. Welcome to my website. 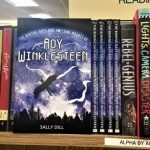 I am a former designer / business owner turned middle grade author. My book, THE BORING DAYS AND AWESOME NIGHTS OF ROY WINKLESTEEN, is the first book in a series that celebrates night owls (I prefer nightlifer). Please feel free to browse around to find out more about me. Roy is showing up everywhere! If you live in the Charlotte / Mecklenburg area you can read about his adventures for free. Click here to learn more. I am excited to announce that my book is now available at Park Road Books in Charlotte, NC. 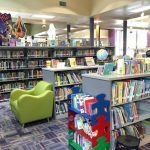 If you are in the area, be sure to go by and check out this full-service bookstore that has been around for over 40 years. When it comes to purchasing books and accessories, always consider your local indie bookstore! I am very excited to announce that over 50 local summer campers received a copy of my book. Thank you Camp Invention and Terrific Scientific children’s programs. I hope all the kids are enjoying their time with Roy Winklesteen. Every camper also received a bookmark – image below. 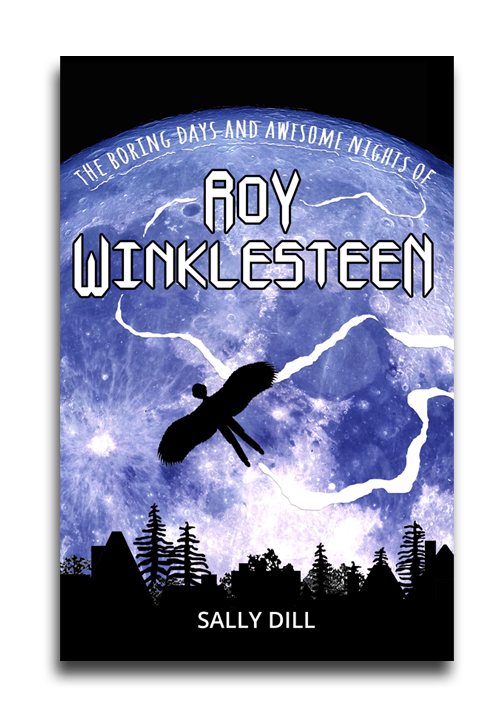 My first book, THE BORING DAYS AND AWESOME NIGHTS OF ROY WINKLESTEEN, is now available in paperback and ebook. Middle grade nightlifers, (age 8 to 12 night owls) I wrote it with you in mind. But middle grade daylifers, I think you will enjoy it too! According to nightlifer Roy Winklesteen, daylifers have no idea what they’re missing. So, when a 2 a.m. glance out his bedroom window reveals a neighbor is hiding a secret of mythic proportions, Roy’s summer break looks a lot more exciting. Seeking a cure for being the most ignored kid in all of fifth grade, he knows an awesome adventure will surely get him noticed in middle school. Roy watches and waits for the perfect time to move in for a closer look at the mysterious man who lives one street over. His spy mission doesn’t go as planned. Still, Roy manages to gain access into the neighbor’s world—where mind-blowing inventions are more common than furniture and fighting crime involves transforming criminals into bumbling fools smothered in questionable goo. Every night with the neighbor brings Roy one step closer to the most daring adventure of his life. But even if he survives, he can never tell anyone about it.